The reception once again has been HUGE! And I cannot thank you guys enough. I've added quite a few new followers so WELCOME to my blog and I hope you get a ton of value from it. Even after the contest has completed, please note...I UPVOTE all quality comments and discussions on every blog post I do. And I respond to them as well. 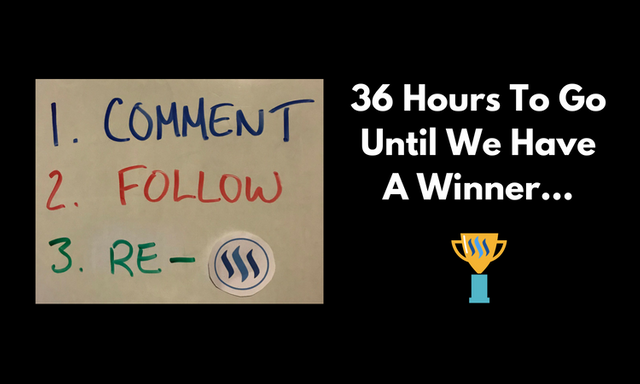 So even after this contest is over, it pays to stick around these parts lol And don't forget, this is just the second contest that we've held...I plan on doing these every month for the rest of my time on Steemit. P.S. Remember, if you do not win this month we do it all again in September. But you can always check out @minnowfund for 100 SteemPower delegation rewards EVERY week! Now that's something to get excited about because that's how Steemit is at it's best...People helping people! Lol that really is a hard competition :), well here is my entry. If you don't try you can't complain you never win anything right? appreciate it man. yeah it took off pretty nicely :) all that means is more delegation down the road for the winners! Looking forward to seeing who get's to take advantage of this for the next 30 days. Great opportunity for someone just starting out, and those that have been here a while but need a little help. Would be cool to win the winnings will go to my own contest! Nice nice. Yeah these are great ways to engage more Steemians! 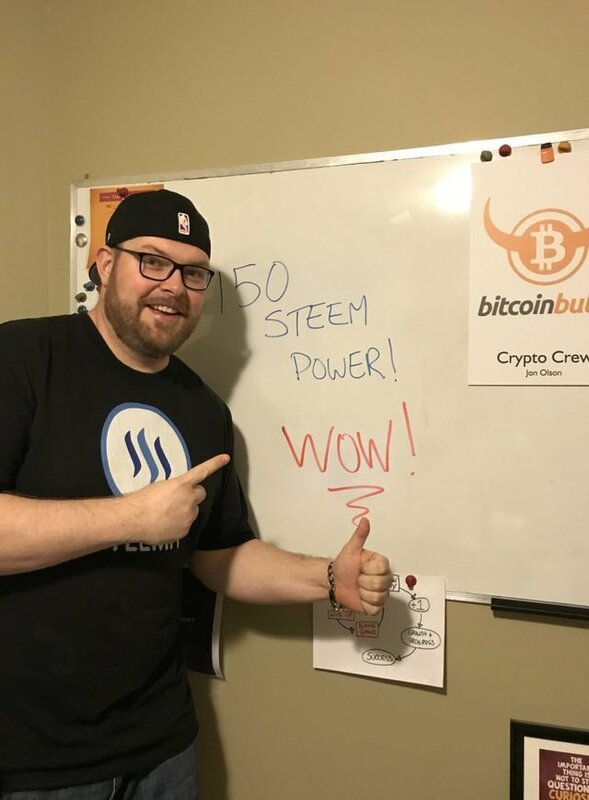 Be a good steward of your 150 STEEM POWER guys! Without doubt the hardest contest I have ever had to participate in during my time here in Steemit. On a serious note though, this kind of "giveaways" are very helpful especially for us minnows who find it very difficult to be successful on this platform. I hope you stick around for a very long time as you promise so that a lot of up and coming talent can benefit from your generosity and sacrifices to uplift themselves. Thanks for giving us this opportunity @jongolson. May the best and more deserving candidate win. 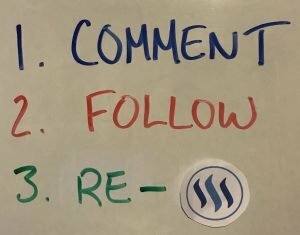 I will read your Steemit posts every day! Rivers become ocean with infinity drops of water. This comment is my drop into this contest. Hope for the best. Wow this is an interesting contest and very helpful to other steemians. I will join this contest. who knows I can win and 150Sp will I use to help the other steemians. Thank you kindly! Yup, if we can help each other out, it's a win win! Out, it's a win win! welcome. May the steemians get a curation of any quality content generated. Stay blessed and steem on !! I hope get win the delegations. This kind of "difficult" is most welcome, i pray i'm selected and i win some steem delegations, minnow life ain't funny. lol i tried to make it extra hard :) yup good luck! Hey Jon. The efforts that you are putting in to make this happen is great. Appreciated man. no no. i appreciate the support. without you all this doesn’t happen!! well thank you for this context. i just started steemit afresh after losing my previous account (@nonz), so the 150sp will definitely come in handy, that's if I win. for sure! and welcome back. I hope I am the lucky one. Do not be anxious to solve the problem when it's in trouble. Leave the problem in its natural process. In every problem, new possibilities hide.